About Proposals but Were Afraid to Ask! The speaker of the night, Dan Voss, accompanies his proposal presentation with one of the many tales that come from his long career in proposal writing. 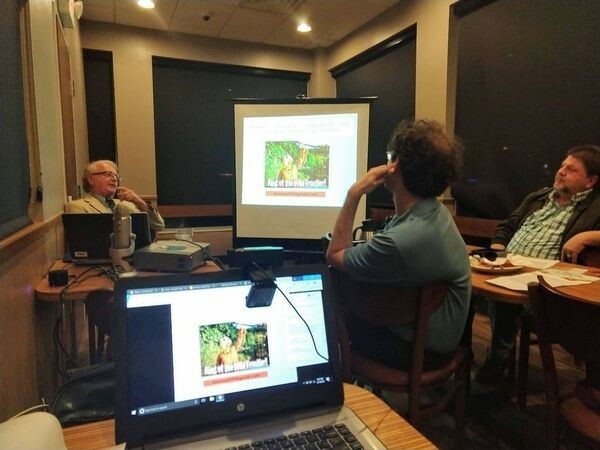 In case you couldn’t attend or view the January 17th chapter meeting, it was all about “Writing a Winning Proposal: ‘Near Misses’ Only Count in Horseshoes and Nuclear War,” where the equally expert and eccentric speaker Dan Voss entertained and informed his audience at the IHOP on University Boulevard. Attendees enjoyed piles of hash browns, sticky stacks of pancakes, and at least two pots of coffee per person while the relentlessly animated Dan relayed and reveled in his experiences navigating and surviving the equally sticky world of proposals during his 40 years as a proposal writer/manager for Lockheed Martin Missiles and Fire Control in Orlando. Expert content management specialist Debra Johnson (second from left) ruminates over one of the several probing and insightful questions she posed to Dan during the presentation. While it’s impossible to reproduce everything that makes a Dan Voss presentation the memorable occasion it is, some of his major points concerned fine-tuning your knowledge of the customer, knowing your competition, knowing your product/service, understanding your requirements, and planning your proposal. Mr. Voss also covered the “Golden Rules” for writing, editing, and producing your proposal. The rules assist technical communicators in applying their core skills to polish the proposal, just one example of Dan’s useful tip to help hone the intimidating and lengthy proposal process. All of these tips were accompanied by anecdotes pertaining to such diverse subject matter as army colonels, raindrop radar, and even the ins and outs of mouse/elephant relations. An audience of ten virtual and nine face-to-face viewers enjoyed the proceedings. Our innovative hybrid face-to-face/virtual meeting format allowed the audience to enjoy the presentation while freely fielding questions to the speaker. Throughout the evening, questions came in from across the state from one of the largest virtual audiences yet. 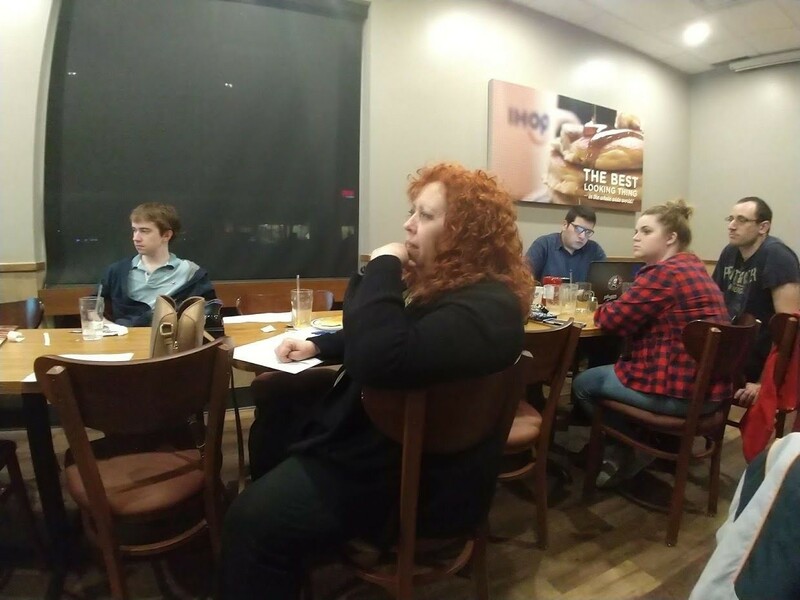 The in-person audience included two new mentees in the chapter’s student mentoring program co-sponsored with the Future Technical Communicators (FTC) club at UCF. The FTC student delegation included Tech Comm major Shawn Menard, who declared the presentation to be “informative and entertaining,” a sentiment shared among the other attendees. Dan wrapped up the night in the persona of his favorite proposal metaphor, the ill-fated Davy Crockett, who, at least in his own memory, led his besieged, outnumbered team to victory against impossible odds. This entry was posted in All Archived Volumes, Volume 2019-02 by Emily Wells. Bookmark the permalink.